If there's one thing you didn't know about me, it's that I absolutely love a hype. I try to act like I'm not that into it but really I'm dying to get my hands on it. I'm surprised that I haven't still bought any Fenty products yet but thats only because I want to see it in person. 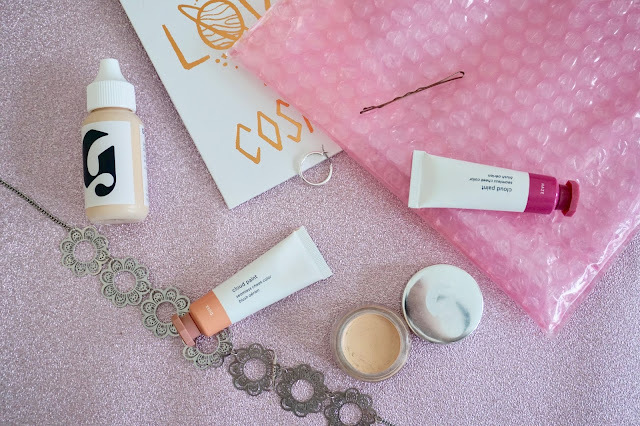 So of course, late last year when Glossier announced they were selling to the UK with a UK warehouse so no hidden shipping fees, I jumped on board. I could finally get one of those pink make up bags and have their products in my life. 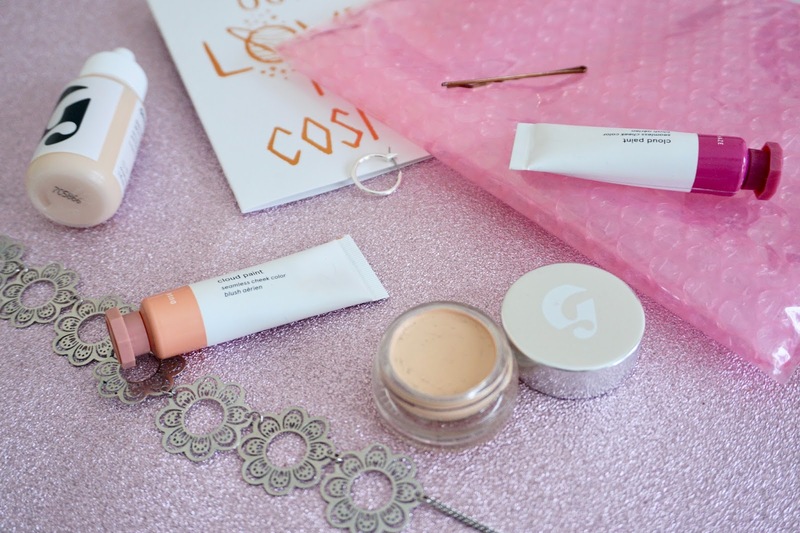 The hype was everywhere with bloggers ordered Glossier by the box load and I thought wow this really must be something. I placed an order on Black Friday (another hype) as they had around 15% off and I thought when was I going to try it otherwise. The order came really quickly, and when I opened the box to see the pink inside I admit I was completely on the train before it had even got going. I really love the whole aesthetic of the brand. I bought 4 products as I didn't need any new skincare items and they are slightly more pricey, so I wanted to see their other offerings before I purchased more. The first product is the perfecting skin tint in the shade light. This is meant to be enhancing, dewy and sheer to give a lovely natural tint. When I first applied I thought wow, this is really sheer and after using it for about a month I have to say I'm really unimpressed. I'm so glad I got a discount on this because £20 is really overpriced for a product which is basically water. The website says it's skin which looks like skin and sheer coverage which is true but only because it literally feels like nothing is there! I've got BB creams and tinted moisturisers which have done more for my skin than this has. I will continue wearing it for work days however I won't be repurchasing because it's really got nothing to it. Over the skin tint I use the Stretch concealer. 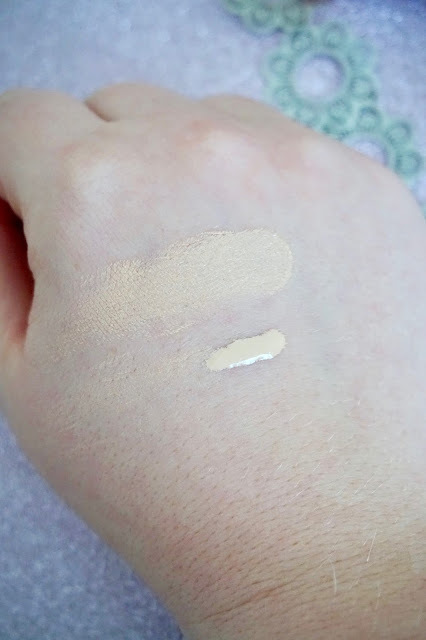 This is in the shade light and I wish they had a few more shades because I feel like it could go lighter, and I've seen reviews where they need more in between medium and dark as well. I apply this under the eyes and on any blemishes I have and it does ok but again it's way over hyped. It does slightly cover however I don't feel like it really makes my under eyes look amazing or really well covered. The consistency is really creamy and almost verging on greasy. This means it does blend out really easy but it's not perfect and I probably wouldn't repurchase. Probably the knight in shining armour for this review is the cloud paint blushes. 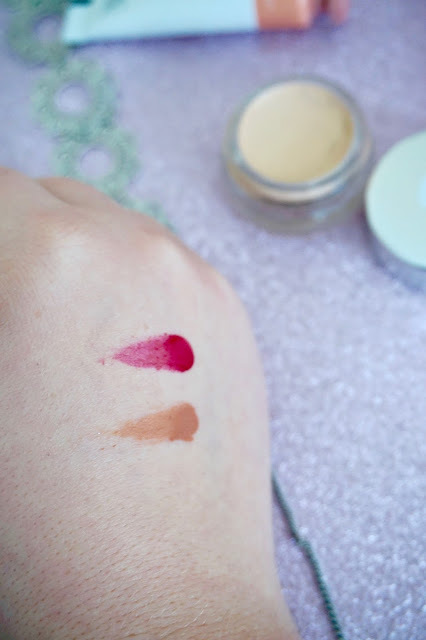 I bought them in the duo because you save £5, I really couldn't decide on what shades I wanted and you could pick both shades in the duo which is an amazing idea, as usually you are stuck with one meh one and the one you actually wanted. They are a gel-cream formula which is really buildable and blends away really easily. I have the shades Dusk and Haze because I thought it would look great in winter. Dusk is more of my every day blush, it's really natural and just gives me a bit of colour and glow back into my skin which is great in winter days. Haze definitely has more of a I'm here look once applied compared to Dusk, however like I said it's really wearable in winter and gives you a 'I've been on a long winter walk' vibe. I've tried using it also on the tip of my nose to help with this effect and it can also be worn on the lips but it doesn't give much colour when applied there. It's a real shame I've had some bad thoughts on Glossier, because they are doing the natural looks really well. They do sell exactly what they say on the tin however I just think it was overhyped unfortunately. Have you bought anything from Glossier? What are your thoughts? Thank you so much for the swatches, I really liked Stretch Concealer and I wish they had a lighter shade.